Where I live – Fortrose, Scotland – folks celebrate the arrival of the swallows in the spring and sigh after them when they leave again in the fall. They keep tabs on the wild mallard duck families, excited when they spot ducklings and angry when numbers are depleted by predators. 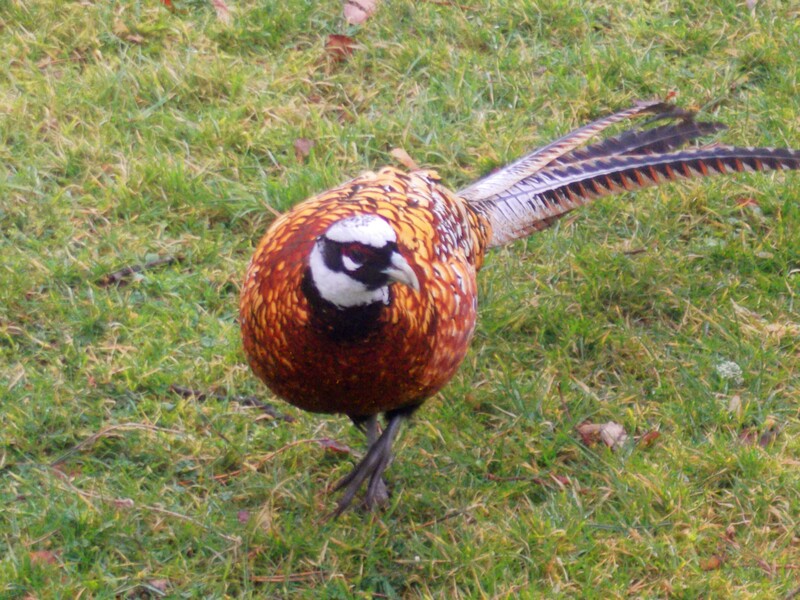 Pheasants are revered.Seagulls, however, get no respect. Some people put guards on roofs and chimneys to prevent gulls from nesting on their houses. Kindhearted folks who feed the birds often chase gulls away from the feeders or cover feeders with wire cages that allow the small birds in and keep gulls out. Cities put up, “Do Not Feed The Gulls” signs. Dolphin-watching tourists a the lighthouse will eat their lunches in front of gulls that are politely waiting for a handout and then throw leftovers in the bin instead of tossing them to the waiting gulls. Why? Swallows are birds, ducks are birds, seagulls are birds. Yet gulls get no respect. Some people explain, “I hate gulls. They prey on smaller birds.” So do cats. Yet some people have cats. Some people say, “They make a mess. I hate the mess the gulls make.” When I was a kid, we raised chickens and ducks. Ducks make messes too. So do swallows. Customers must walk around a mess in front of the door of the bank in Lakehills, Texas, because mud swallows return there every year to raise their young. They eat mosquitoes in the parking lot – but they also make a mess. So why do folks prefer ducks and swallows to gulls? Probably because there aren’t as many of them. They aren’t common. Comparing the numbers, one might even say that swallows and ducks are rare. Gulls are everywhere. The respect of people is fleeting and capricious. God’s respect is eternal. Posted on June 13, 2015 by authorstephanieparkermckean •	This entry was posted in Uncategorized and tagged Christians, kindness, Scotland, seagulls, swallows. Bookmark the permalink. ← Dog in a Tree!